and tonight – it is the year ending top 30 chart for 2015!! so… are you ready for the countdown?! 1994 was a special year to me. that was the year that I started working on the radio, doing an 80s show. there was no internet back then… and I was searching the music magazines looking for new music to play. when I lost my beloved synthpop band which has turned into a typical anoying alternative band. that was the year I discovered Beborn Beton. 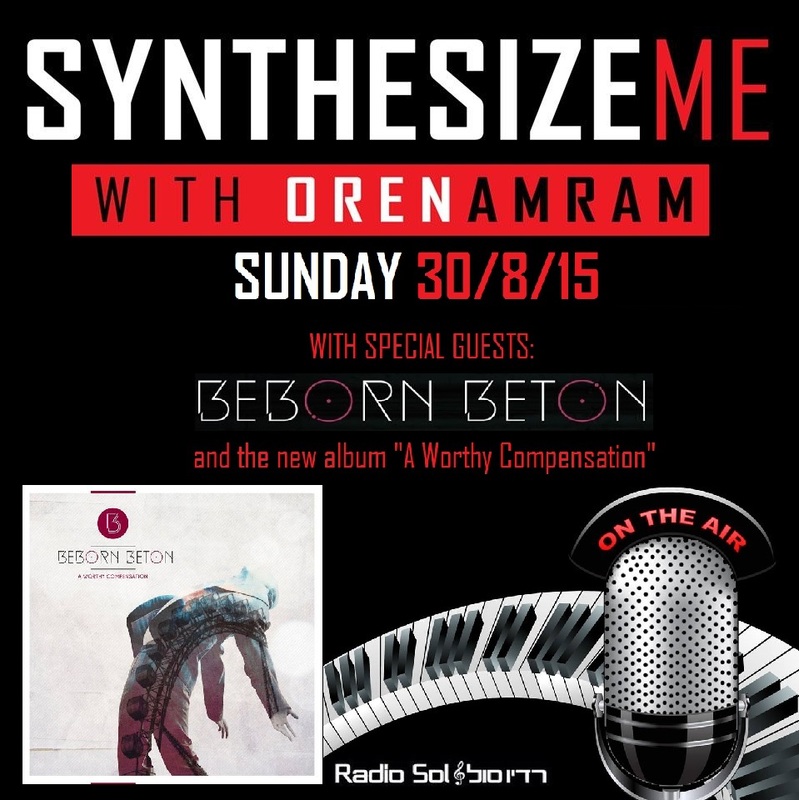 today, after 20 years, I am very excited to do some kind of closure, and to host mr. Stefan Netschio, the lead singer of Beborn Beton, with a world premiere to their new album "A Worthy Compensation". it's almost a year since "Disco Tears" release became of my show's best hits and most played songs. 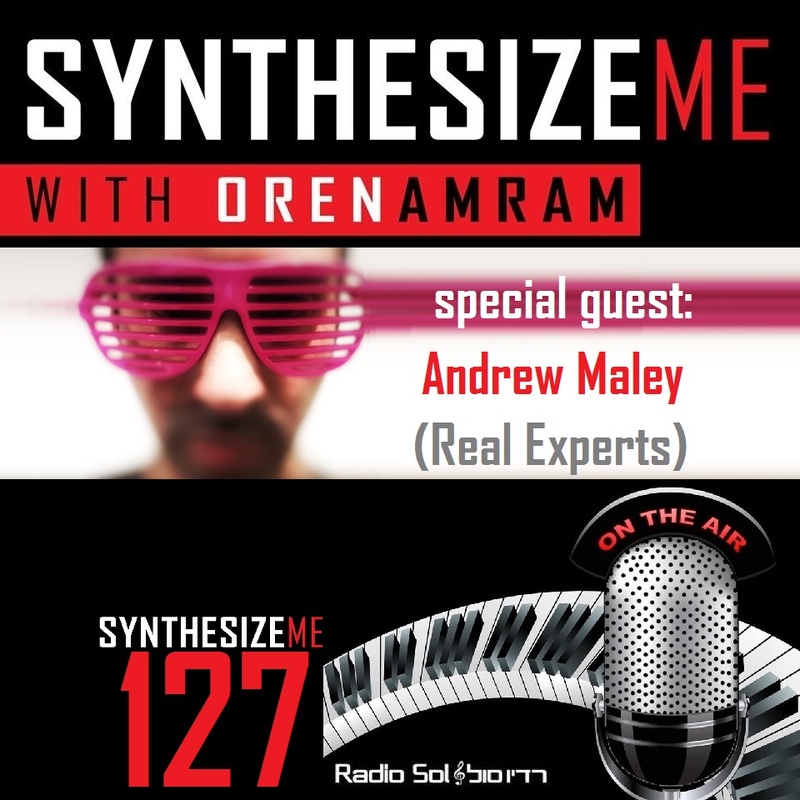 today, 2 months before the new album release, I'll host the real expert mr. Andrew Maley for a 3 hours special edition of "Synthesize Me". with his music, the music he love and a few world exclussive tracks as well. 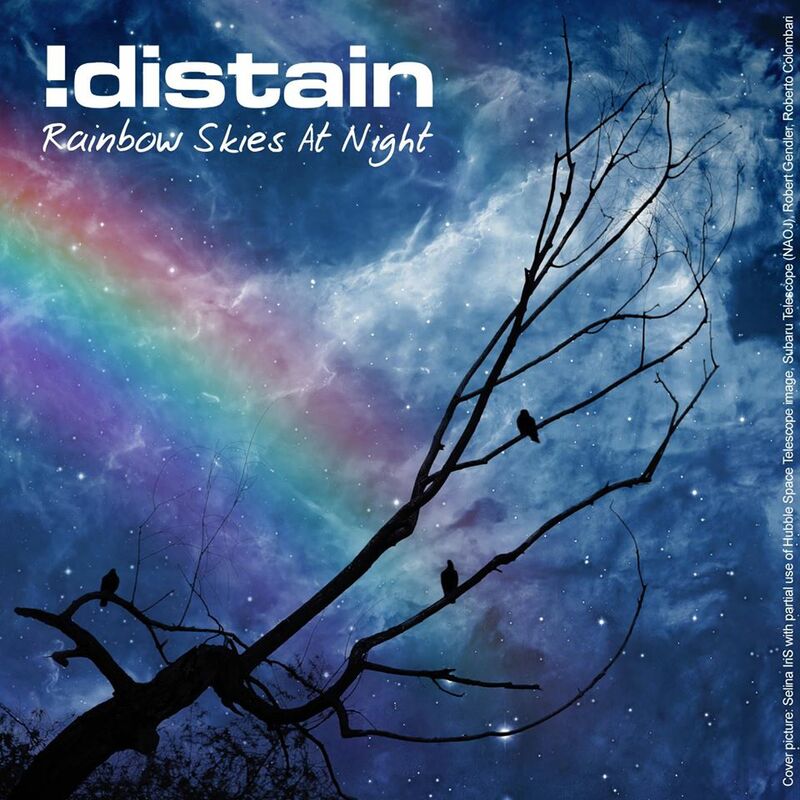 "Rainbow Skies At Night" is !distain's seventh studio album. 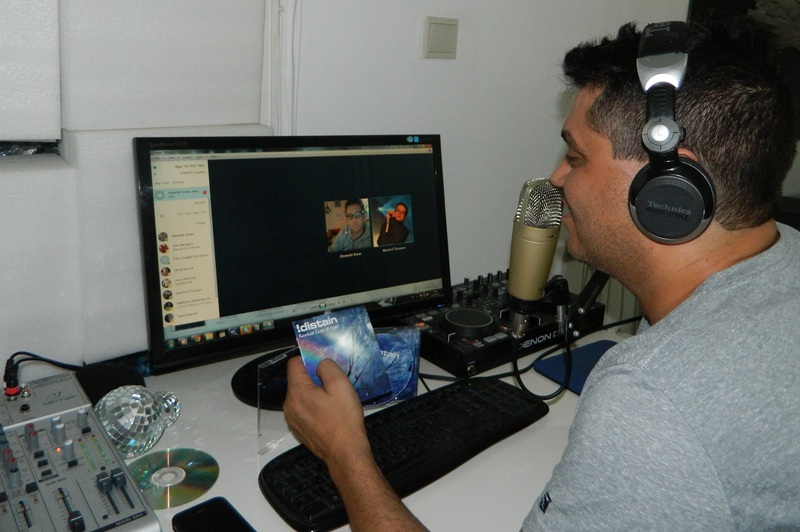 a few weeks ago I had a Skype conversation with Alex Braun and Manfred Thomaser of !distain for my weekly radio show "Synthesize Me". we talked about the new album and lots of interesting facts that you didn't know about !distain. here are experts from that interview, the 'behind the scenes' of "Rainbow Skies At Night", track by track, in Manfred & Alex own words, as featurted on "Synthesize Me". links to listen to the full interview and the full 2 hours show are bellow. Oren: I've been listen to the whole album many times, and I think that you did something different musically, lyrically, compared to your previous album. More acoustic sounds on one hand, and still a very update and electronically production. Alex: I thought about this question because the first reviews now appearing on the internet, and I'm a little surprise that people says that our songs are very different and more acoustic elements like you did. For me it was not so obvious. For me there's one reason that we technically go on with state of the art and lots of cool synthesizer stuff, and there are a lot of naturally samples and I like to use this, and give another level, another touch to the playback. not just exclussive synthesizers. Manfred: I don't think it's easy to talk about this process because we do not really think about it while we are doing it. It just happens. and this is still the best thing to do. Let it flow. I know it sounds like a cliche, but it's the best way to talk about it. 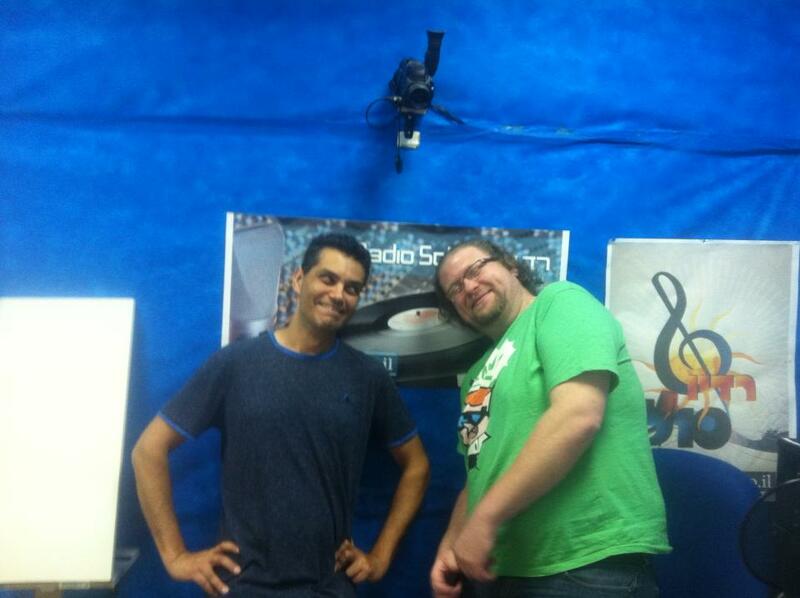 We did not say – hey, let's go on for some acoustits tracks before we started working on the music. Maybe we just had a new equipment, some sorts of ideas appeared in our minds, to change a little bit again, what we do very often, I must say I was very happy to read one review that we are a band that is changing the sound a lot, because there are so many people that always says – Oh, !distain sounds like !distain, but it was very natural not to talk about what are we going to do, and it was very natural not to talk about which kind of sounds will we use, which kind of equipment will we use. we just bought new equipment, Ok, yeah, that's for sure, but we didn't talk about it. we just used the sounds when it felt good to be used. Oren: Please tell me about the process of a typical !distain song. did you decide to enter the studio one morning and say "Let do an album" or is it a long process of writing and recording and collecting all demos that you found in your drawer. basic idea, and then it brings more fun if we have some beats and some harmonies and then we sing and have fun. Most of the time it brings more fun than starting from a scratch. Oren: Is there a demo that you started to work and used it later on the album? Manfred: Yes, if you go just in the history of the band, the new album "Rainbow skies at Night" really started in 2004. we just found a song that we were working on in 2004, when we were doing the special editions and taking a look at the archive songs, and I found a song that was a part of a demo cd, we recorded for the second album Alex & I were doing for !distain. it contain songs like "Love machine", "Mandragore", "Gatorator" or "Pop Song", and there were a German song titled 'Leinen los' (it means in english something like "Let's set the sails"). I listened to the song again and I played it to Rick, and he had never heard it before, I think, and he said – we should do this song for the next album. there were nothing excisting of this song except of a few drums, and the demo version we had recorded. and we sent it to dj Ram, and this is a very good example if you say – Here is a band with a demo, and here's the finish product. a lot of songs we do, like Alex said with "December", normally we finish our songs. the whole arrangement, the complete way of melody and composing is done by us. and the work of producers is to sounding better. And for "No One Is To Lead" we just gave him our basic idea and said – Please go on and do whatever you like, just keep the melodies. Oren: it sounds completely different than the album version. Alex: Yes, that's the thing I really love about good producers. they are able to add something new, something that was not there from the creation by the band. so he gives it another level, another dimention to the song. and that's what I really love with good producers. and dj Ram is such a good producer. And if you'l hear the new version, the final version, you can see what he added. Alex: The funny thing about this song is I think one of the first times we used lyrics of Rick. I did the playback, I had some ideas, Rick was here and I asked him – why don't you sing or have vocals or something like this, and he said – Yeah, I have, let me try something. so next time he came up with lyrics, and we liked it. so this is totally different way or creating a song in our band history. Oren: what's the story behind the song? Manfred: The lyrics are just asking a question, Would we live in a world more safe without any national security agencies. Because it seems that a lot of wars have been started because of wrong information that the national security agencies have given. 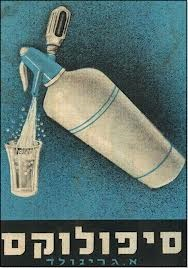 If you think about Iraq war, with the saying that Iraq has bio-chemical weapons and they will use them, and a few years later they had to say – well maybe they had a few but not the amount we were talking about. I think that the question should be asked – if the world would be more safe without these people, who are only have the possibility to secure their jobs by making trouble and by creating enemies. Alex: I just wanted to add something about the production and the process of doing the song. the funny thing is as you know sometimes we work together with other artists, and in the beginning it's always just for fun, because we know this guy (Dj Ram, o.a.) and he said he has a playback and if we can add some vocals, so we tried this and in the end we liked it so much so we asked him to do a !distain single. that's the story behind this production. Manfred: the instrumental was already there when we were doing the "On/Off" sessions (the previous album, o.a.). but we just couldn't finish this track so it was in the archive and we had to go down to it and find it again, and we always returned to the song but we never finished it. maybe it was a good idea to announcing the album with a single that was related to "On/Off". Oren: A lovely song, one of my favorites on the album. next good, it's motivates a lot. And I must agree to you that it's one of my favorite songs. 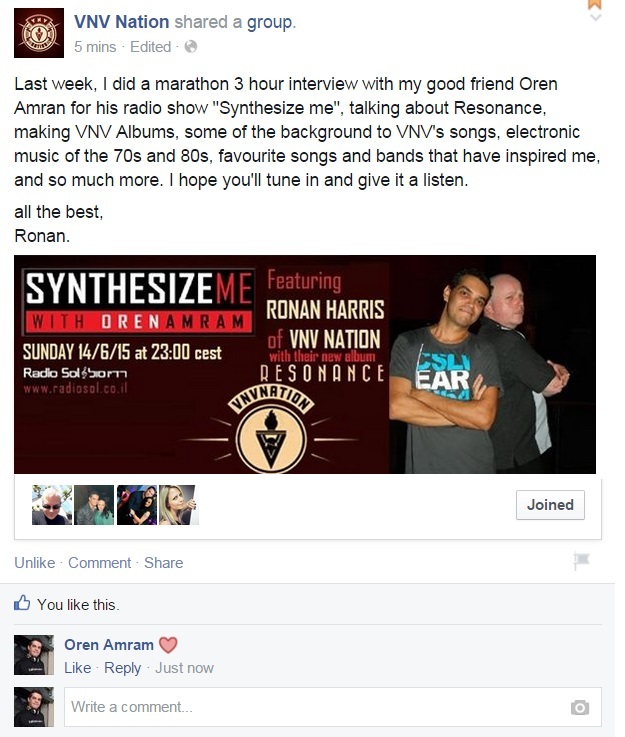 Oren: The second single that came out from the album was "A Million Engines". What's the story behind it? Alex: First of all I would like to say that I really love Manfred's lyrics. especially the chorus. "All of my life I tried not to fail / today I'm setting a brand new sail". I really feel this. It's something I stick to. Therefore maybe that's one of the reasons why for me it's a very emotional song, lots of emotions and feelings, and I love it. and I did love to create it. In this case again I did the playback, and with Manfred's lyrics I created the vocal melodies, Manfred and Rick liked it, and this is one of the cases it's created completely by me. Manfred: From the first moment I heard it, it was clear that I had nothing to add. Already the demo was very good and Rick thought the same, so all of us said this is a single, it has a hugh quality, and that's a good thing of a band, we can leave things as they are if we like them, it's not that we have to include our inputs just maybe to make it worse, just to be in it. and that was Alexander on his own, it's a 100% Alexander. Oren: I think one example to the acoustic sounds of yours is "December". another one of my favorites. sounds like it has been taken straight from the indie of the 80's bands. Manfred: Yes. I was inspired in that time of bands like U2, and so many other bands not to talk about now. but I think, like you said, if you listen to "December" , you will know the roots where it comes from. The idea behind it was doing a song that sounds like recording it in a practicing room. like more 'live' atmosphere. and maybe that is the reason why I choose the acoustic drum set for programming. Like I said before, it's more about 'let it flow' and not about thinking about what will I do then, how will people react, that never worked in our history. Alex: I would like to add that it's nearly the same sounds and the same structure as the demo of Manfred, we changed nearly nothing. because it was good and perfect like it was, and it's nearly the original version Manfred created at home. Manfred: But there was one point, like Alex said before, like "Back To History", I've reached the point with the instrumental when I was working on the vocal melodies, I couldn't get anywhere. so I asked Alex "Can you help me", because I have no idea. So he listened to the track again and again and then he came up with at least 50%, maybe more, of the vocal melody which helped to finish the song. Alex: that's what makes a band something different than solo artists. it's always something more in the end. Oren: "Rainbow Skies At Night". where does the name came from? Manfred: It just appeared in my head… I have so many things running through my brain, and whenever possible I catch the words that are running around. It seems I'm always busy in my brain, and "Rainbow Skies At Night" just appeared. and I though that was a great way of expressing things which do not seems to belong together. Later on it appeared in the lyrics of the title track of the album, and it became a deeper meaning going into a political affair someone has to live with and tries to escape. And I thought escaping over rainbow, maybe it's not a new idea I have came up with, but it is an idea of hope. and again, we live in times when hope is more the necessary. and escaping over rainbow is not a bad idea… isn't it? 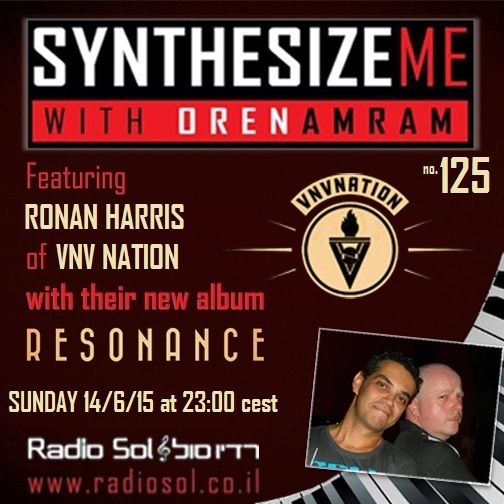 Oren: Manfred, There will be 2 different editions to the album. a single cd and a double cd. Please tell us about the bonus cd. about doing this again, with a solo album, or let's say an EP, whatever comes to his mind for the next album, and maybe we are doing this, and it shows some kind of respect we all have in the band, it's really not very common you release a solo album as a bonus cd. Alex: we were very curious about the reaction of the people and what they think about it. What do you think about Oren? 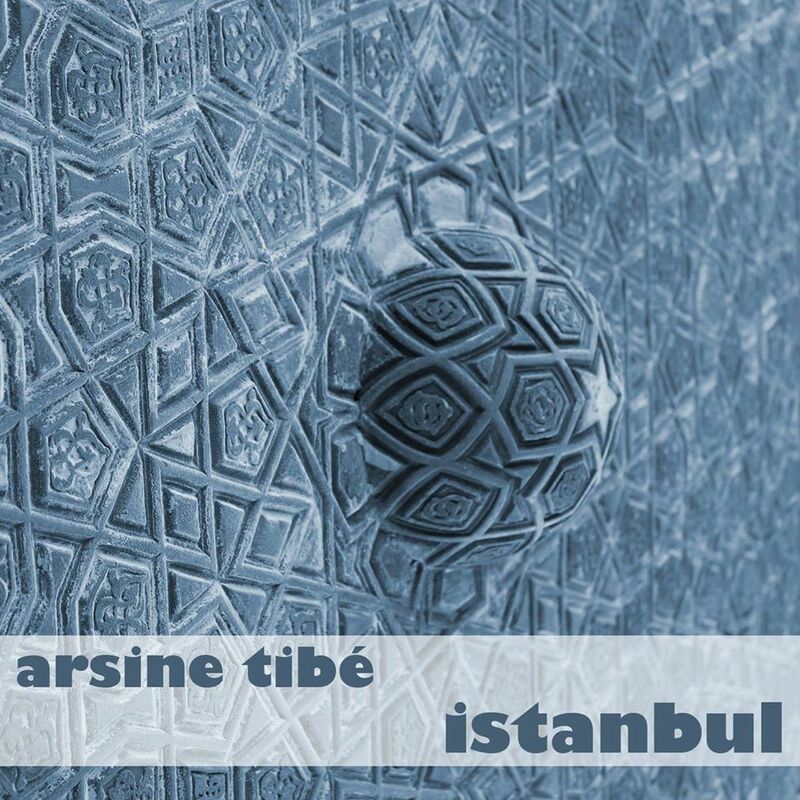 Oren: When I heard the albun "Istanbul" it took me to a great journey to the middle east. although I'm in Israel and I'm in the middle east, and I know the middle east music, it sounded like you know this music as you're not living in Germany. you did it exactly as the middle east music. and that's what is very unique in this album. and by the way, every song title is translated to Turkish too, right? Manfred: That was very important for me just to show the respect. because I've been to Istanbul twice so far, and I would go there third time this year, and for some reason I think everyone listening to this has his own experience, you visit a place that you've never been there before, but you feel like you've being at home. And even if I don't speak the language and it's not easy for me to find all the places and go around, I really feel a bit like being at home in Istanbul, and this was one reason for doing this album. just to show respect and maybe just try to find out where can I go with an idea like this. Alex: No, it's interesting to hear such feedback about the songs. I don't know, I totally lost. if I hear people comparing, I also very surprise hearing people say that "Too many Walls" has some parralels to "And One", they've wrote that we maybe influence, what do you think Manfred? Manfred: Especially for "Variation In Light" there is relation to "And One", which has nothing to do with "Too many Walls", it was just that we were driving back from one of the concerts weekends that we had with "And One" a few years ago, and Alex and Rick allowed me to sit in the back seat in the car, and I was listening to music in the headphones, I had to relax after a 3 weekends show, I think some of them had said – Hey why don't you write some lyrics, or something like this, and I was confused by a lady in the car, giving us the directions with her voice say, now you have to drive right, now you have to drive left, I'm not having this system in my car, I'm not using it, and so the lady in the car was talking and talking and talking and I thought to myself – well, we are returning back home from a very impressing concert weekend, this lady is talking all around the day, and so I wrote the lyrics about them. I think this lyrics are the most unspectacular lyrics maybe we've ever come up with because they just give the impression of being happy. and driving. They're not political anywhere like Rainbow skies at Night" or "December" or whatever, but thinking about this time a variation light gives us a great relation to just remember the time. Oren: by the way, did you like the remix? Oren: "Fragmente", the only German song on the album. Manfred: Some people already ask why only one song is in German, it just happens that I write the lyrics in German or in English. I know that other bands from over here write their lyrics in German and let them translate into English, and then they sing them. but for me it feels very easy to write in English, although I only have school English, I'm not into English as much as a native speaker of course. but it feels easier for me write the lyrics in English. maybe it sounds much better in a foreign language because some of the words I sing in English I would never write in German. Alex: I think the German vocals are more direct. it's more direct, more obvious what we sing, it's not so easy to make messages which are not too direct. so sometimes it's more easy in English, because you can hide some simple things, and in English they sound mystic or something like this. Oren: What the song is about? Oren: "Blackberry Morning". a very unique song. beautiful music arrangement. reminds me the sound of the 40's or the 50's..
Alex: Yes, that the funny thing about it. because we were not so sure if it good in this line of tracks, if it fits to the rest of the album. so we really discussed even to put it on this album. because in our eyes it seems to be a lot of different than the other songs, so we decided it to do it as last song, even in the beginning we had the idea of doing it as a bonus track or something like this, but we are happy that you like it and what you say, of course we like the melody and everything but we were not sure if it fits, if it's too different for this album. but as a going out track maybe it works, I think so. Oren: there is no one genre on the album. there are severals. and I think that "Blackberry Morning" is another unique side of you. Alex: this was indeed my hope that someone in this round will say this… this will be great of course because this was our initial idea, so if you will get this it will be great. Oren: I wanted to ask you, what are you doing on July the 24th? Alex: yes, I wanted to come to this point but now they know it… To be honest, it was really by accident that again it's "And One" , which is the main act and we will play before, and open the evening, and of course we are really looking forward to this, I met the guys of "And One" when they played here a few weeks ago in Munich and we said – we'll see you on the boat, and hopefully we will see lots of nice guys and fans again..
Manfred: As far as I know there are 1,111 people on the boat, and it's not the boat only, we will ship on the river Rein, we will play a few songs from the forth comming album. maybe the singles. Oren: But you will play also classic tracks, right? Alex: Yeah, we'll try to make an interesting mixture of course, and hopefully we will be interesting for the audience. Oren: by the way, is there a song that you play on every show? a song that there's no !distain show without it? Manfred: maybe "Confession"… yes, I think that we've never did a show without this song. but it's for sure that we have to play it. Alex: But we really try to make a difference. even on the tour with "And One", every concert we tried to make another playlist, and we had lots of different versions every time. so we don't have one set we play every time. It's really not many songs that we're playing on every show, for sure I really can say just for "Confession". I think that "Rainbow skies at Night" is !distain's greatest work so far. It combines all the elements of !distain : the electronic music and the acoustic music. as my opinion, it's one of their best. a lot of potential hits, different genres, and I think that everybody can find his own favorite song on the album. I would like to wish !distain a lot of success with this album. buy the album! support the artists! here you can listen to the complete 2 hours with Alex & Manfred, featuring the whole new album plus much more great music from !distain. בשבוע הבא אתארח בתכניתו של אריק טלמור "הסיפולוקס" בתחנה האינטרנטית 109fm. זה קמצוץ ממה שהולך להיות שם.